It's the end. Keut (korean word). 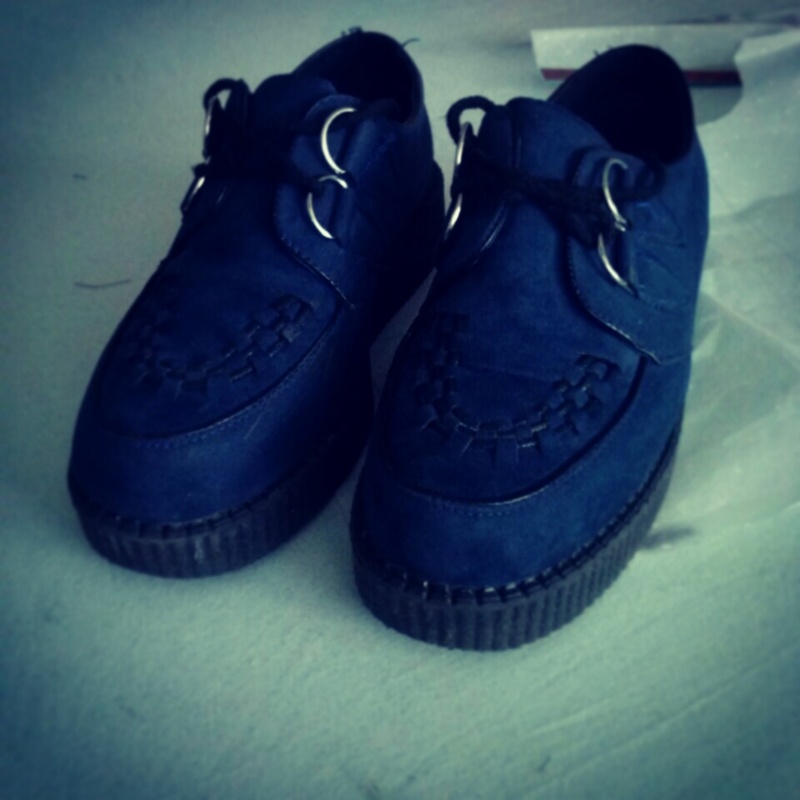 I bought CREEPERS. I was so tempted by whatever it was. But yes, I bought it. I was tempted, I'm telling you, POSSESSED. Seriously, let's talk 2 minutes about creepers. The first time I saw them, I was "Gosh, what are they ? Some other weird shoes that punks and grunge guys wear ?" Not really nice from me I have to say ^^' But creepers can be repulsive. Lately, doing some research, I re-found these creepers and I just fell in love. They are so pretty in blue ! How can you not be tempted by these beauties ?? Anyway, I changed my mind about CREEPERS.